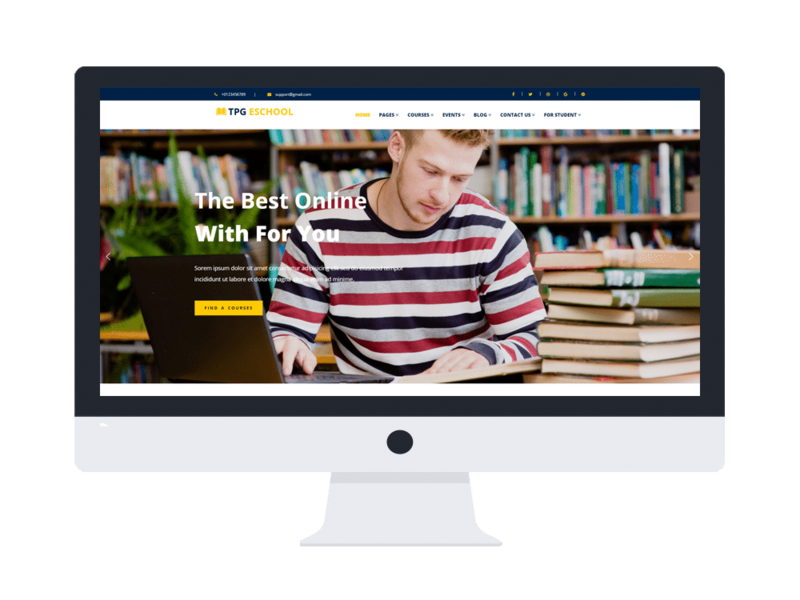 TPG eSchool is promised to be a perfect Online School WordPress theme for any kinds of online education centers as well as traditional school to showcase their education records, reputations and attract more students. This theme has been designed in a professional way, with a proper content organization, parents and students will be able to find the information they want right away without getting boring of a wordy site. TPG eSchool comes with a great performance with high-quality images and suitable featured plugins, which helps users to find the best courses, have a quiz to test skills, hold events, and more! Besides, this theme also displays its best on all kinds of mobile devices, in stylish and modern layout, it makes sure your site will always look perfect in the eyes of visitors. Based on the latest web technologies like SiteOrigin Page Builder, Genesis Framework, along with the powerful admin panel, TPG eSchool is fully customizable, so you can make any change you want to make the site more beautiful. Sounds amazing? Come and get it now!